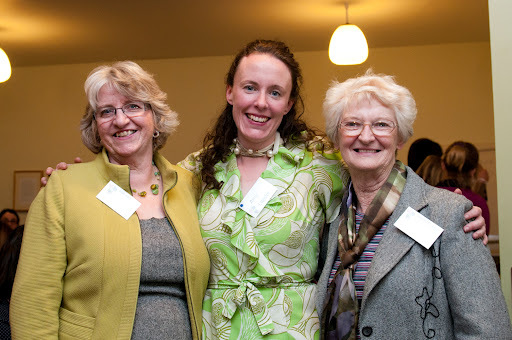 We were absolutely delighted to welcome Helena Harrington, President of the West Yorkshire Federation of Women’s Institutes and Ruth Bond, the Chair of the National Federation of Women’s Institutes to our first AGM. No pressure then. We celebrated everything we have achieved in the past 12 months (you can read the annual report below), announced the 2012 committee and Amy Leader was relected as President. 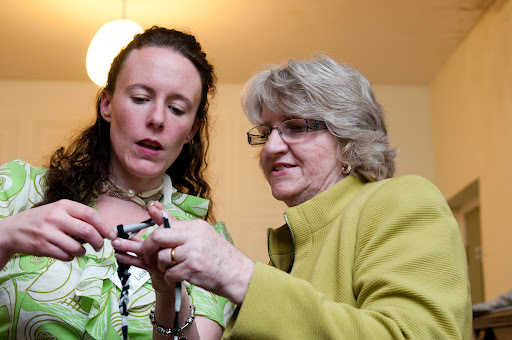 We then moved swiftly on and introduced Julie Cunningham from HIPP, who told us about her business, handed out kits and prepared the crocheters in the group to pass on top tips to the rest of the group. The evening was topped off with a brief talk from Ruth Bond who declared the Hebden Bridge group as her dream WI. 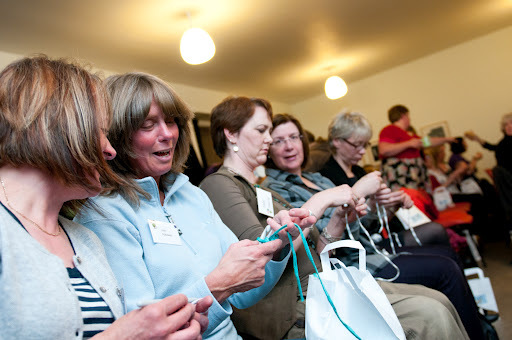 We are all very proud that the National Chair got stuck in to crochet and cake and celebrated Hebden Bridge’s unique approach to the history and significance of Women’s Institutes. Our next 12 months are sure to be marvellous. The Hebden Bridge WI has just celebrated its first birthday and we’ve had an awful lot of fun together in those 12 months. · Learnt the 1940s stroll, the Charleston stroll and the New York stroll with Caroline Burton and Helen Baron. Thank you to all of you that have led and participated in these meetings and create the atmosphere that means we keep turning up each month to learn new skills and meet new friends. Thanks to everyone who has brought a fabulous selection of edible treats over the past 12 months. Let’s face it, if we’re not sure about the meeting topic, the thought of cake swings it. Our proudest achievement has been our collection of 60 shoes boxes full of toiletries for local women’s refuges which were delivered at the beginning of 2012. As a group we have also assisted with the yarnstorming at Hebden Bridge Arts Festival. The textile committee has organised 2 very successful rag markets and are currently organising the biggest to date with a 2 day event in the new town hall on 30th June and 1st July. The rag market is our main fundraising stream and the new committee will discuss ideas on how to use this income at their first meeting. We have other sub committees that meet regularly and irregularly. These are the book swap, the walking group, the film lovers, the art lovers and the gardeners are just getting up and running. 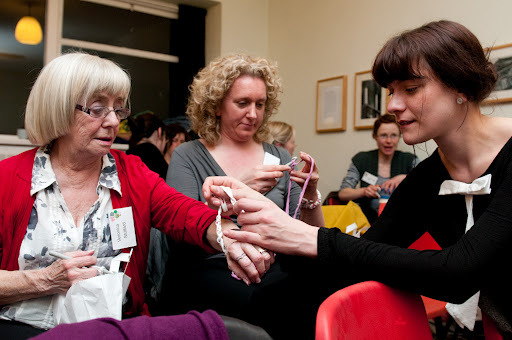 All members of Hebden Bridge WI are invited to join in with any of these groups at any time by signing up at a monthly meeting or by just turning up to the committee. We let you know about dates and times on our Facebook page and on our blog. Amy Leader. 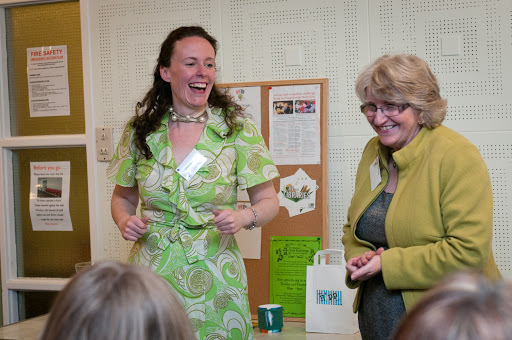 President of Hebden Bridge WI 2011.